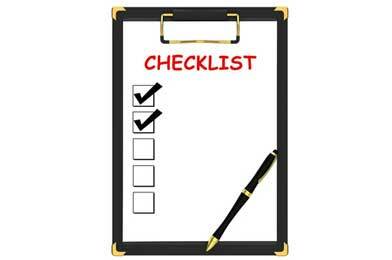 You can find many TN Visa Checklists on the Internet but most of them are incomplete and do not cover all the TN Visa Requirements and NAFTA situations for Canadians, Americans and Mexicans. This is why we created this Ultimate TN1 Visa Checklist to help you find a complete list of the TN Visa requirements you need in one place. The first and most important criteria for the TN Visa is your proof of citizenship. Under NAFTA you must be either a Canadian, American or Mexican citizen to apply for the TN1 Visa. You will need to show your passport upon entry as well as provide a copy of it with your TN Visa Application. The next important aspect of your TN Visa is knowing which NAFTA Occupation you qualify under. Most of the NAFTA Occupations require proof of secondary education such as a degree, diploma or certificate. There are a few occupations which only require you to show proof of work experience. These are more scrutinized but you can qualify if you create your TN Visa Application correctly. Here is the complete NAFTA Job List (/overview/nafta-job-list/) to help you identify which Occupations you may apply for. Many people make a mistake thinking their Job Title is important. Do not make the same mistake. There is a difference between your Job Title and the NAFTA Occupation. Know this difference and apply correctly. 3. Know Your Intent - Why Are You Applying for Your TN Visa? This may sound strange or confusing, but it is a very important aspect you should be aware of when applying under NAFTA for your TN Visa. What you want to know is the TN Visa is a temporary intent visa. This means at the time of your application, you are agreeing you will at some point in the future return to your home country and are not seeking permanent residence. If you are not careful at the border interview and say something contradictory to the Temporary Intent requirement, you will be denied the TN Visa and sent back home. 4. 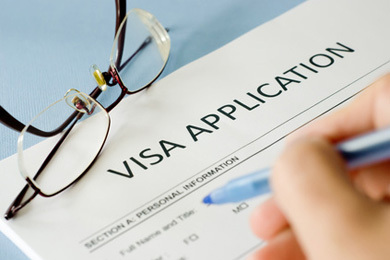 Do You Have Your TN Visa Application or Employer letter? When you submit your application, you will need to complete a free form application letter. This is also known as the TN Visa Application letter or the Employer letter. The contract is a legal document between you and your employer. This is not the same as your Application letter. The Immigration Officer is looking for how you and the job meet the NAFTA TN Visa Requirements. The Application letter addresses each of the items the Officer is looking for. The better you address these items in your Application letter the easier it is for the Immigration Officer to see how you meet the requirements and approve your application. There are thousands of jobs that you can apply for, but not all of them qualify under NAFTA. In your application, you must provide sufficient details of the job to show the Officer how this job qualifies for the TN Visa. 6. Does Your Job Title Match a NAFTA Occupation? There are only 62 NAFTA Occupations that qualify for the TN Visa however, as you know, there are thousands of Job Titles. Each of these 62 occupations have numerous similar titles. If your job title does not match the NAFTA Occupation do not be too concerned. What is important is how you’ve written your TN Visa Application. You want to show the Officer how your Job Title is similar to the NAFTA Occupation. Use our TN Visa Sample Letters and step by step instructions to help you. The Immigration Officer is looking to see if you are going to be working for an employer that meets the NAFTA requirements. Provide complete details of the company so the Officer can see it is a legitimate business. The Officer is attempting to determine if you are getting hired by a friend, a relative or just a pseudo job so you can live in the country. Create your application to show how everything is valid so there are no doubts. 8. Did You Specify the Length of Your TN Visa? Your TN Visa is valid up to 3 years. You can request a TN from 1 day to 3 years. The TN has unlimited renewals so you can apply as many times as you wish and if you qualify you will be able to work in the U.S., Canada and Mexico. 9. Do You Have Your TN Visa Fee - Cash, Credit Card or Check? When you apply for your TN Visa whether by mail, in person at a border crossing or at the Consulate (if you are Mexican) you will need to provide the TN Visa fee. Currently, this is $50 USD. Applying to work in the US there is an additional $6 fee for the I-94 Form. 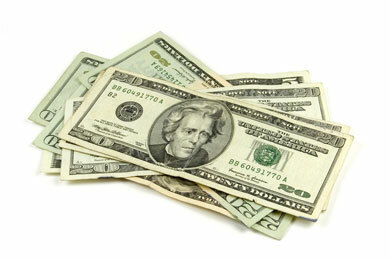 Do not make the same mistake many people do - they don’t have the correct cash available. Do not assume you can pay by check or credit card. Some immigration border crossing or pre-clearance centers may accept debit card, but it is best to always have cash available to make your payment. This avoids any hassles and keeps things moving smoothly. Have you ever thought of your application in this way? If you think about all the ways you can make your TN Visa application easy for the Immigration Officer, it will allow him to approve your application quickly because he has everything he needs and you have presented your application in a clear way to show how you qualify for the TN Visa! What a great idea! 10. Does Your Job have an Education Requirement? This is very important to understand. Since most of the NAFTA Occupations have an education requirement, it is very important you verify if your job description has a similar education requirement. If it does not, you will most likely not be able to qualify for the TN Visa. For example, a Bookkeeping job will not qualify under NAFTA, but an Accounting job will qualify. This is because the Accounting job requires a degree. This is shown in the NAFTA Job list, it will be listed in your job description and you will possess a degree in this field. Together, all three items show the Immigration Officer you and the job meet this requirement. 11. Do You Have Proof of Your Education Requirements? In the TN Visa or NAFTA Job List you will notice almost all of the NAFTA Occupations have an education requirement. Make sure you are able to prove you have met this TN Visa requirement. If your profession is a licensed profession, make sure to have you license with you to show you are licensed in your field. The Management Consultant is one of the few NAFTA Occupations that does not require a degree. Many TN applicants think this allows them to apply for any job as a Management Consultant. This is not true. First, this is one of most scrutinized occupations. When an Officer sees a TN Visa Application for a Management Consultant, he will review it more closely to verify you are a Management Consultant and the job really requires a Management Consultant. 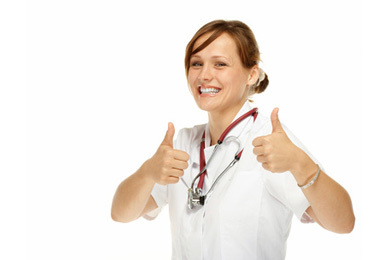 There are numerous requirements that must be for this Occupation, make sure you meet them all. Many applicants feel if they show just their work contract this will be sufficient, do not be fooled that should be considered as just one of many supporting documents you should provide. Also, if this is a fulltime job disguised as a Management Consultant position, the Officer will most likely be able to figure this out and deny you. Create your application correctly and have the documents to show you are qualified to be a Management Consultant. Email us if you are not sure. 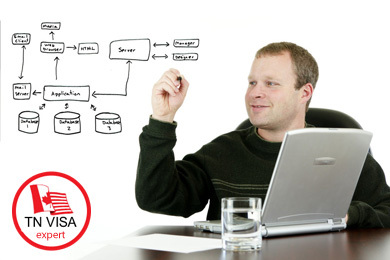 The Systems Analyst NAFTA Occupation allows for a broad range of computing related jobs to qualify for the TN Visa. By definition, a Systems Analysts analyzing, designs systems. Whatever type of systems they may be. 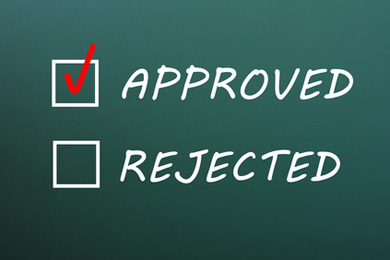 What you want to be aware of is he biggest reason for denial is due to one word,which if it appears in your application will be denied immediately. That word is: “Programmer”. If the Officer deems your job to be a programming job, they will deny you your TN Visa since this does not qualify under NAFTA. So be careful and write your TN Visa Application carefully. If you are applying under the Engineering NAFTA Occupation there are few things you should be aware of. Recently, Immigration Officers are requesting you to provide your Engineer license if you are applying as an Engineer. Make sure to have this with you if you are applying. Write your TN Visa Application Letter to include details about this as well. Because they are doing this, it affects you if you are applying as a Software Engineer. Many software engineering applicants are denied their TN Visa because technically this title is not being used in the the traditional Engineering role. In many cases, Software Engineers should apply under a different Occupation. One of the best parts of the TN Visa is the easy with which you can bring your family over as dependents once you obtain your TN Visa. If your dependents are citizens of Canada, Mexico or the US it is easy to have them accompany you or follow you at a later date. Make sure to have their passport and proof of your TN Visa. Mexico applicants may have to apply at the Consulate. It is always good to include additional supporting documents with your application. You don’t want to give too much information otherwise this can cause you problems. Look at your required set of documents and see what additional items can support it. This can include transcripts, certifications, resume, home ownership documents to show ties back to your home country. Be careful about including your employment contract, many times this can hurt your application as it could raise questions and scrutiny. The Officer may not be qualified to understand many things in a contract and can be confused. Take heed and be smart about what you include. We don’t like talking about this but we know it is important for you to be prepared for all situations. If you realize you are going to be denied the TN Visa due to the intense amount of questions the Officer is asking, his attitude is not friendly anymore and he is hinting at seeing problems with your application then you should do the following: Stay Calm! Be very calm. Do not talk alot. Listen carefully to what he is saying. It is very important to understand why he is denying you. Ask him to repeat what he said if you do not understand why he is denying you. Withdraw your application, collect your things and walk away. If you know why the Officer denied you, you may be able to modify your application and try again. Email us immediately and we will attempt to assist you. Relax. The TN Visa is meant to be a quick and easy way to start working in the U.S., Canada and Mexico. The Officer will approve your application if you qualify and have done the paperwork correctly. If you are not sure how to complete your application or want to be fully prepared at the border interview with a successful TN Visa Application, download the TN Visa Expert Kit - Platinum Edition. If you have a question, need more information or found something missing please email us at info@tnvisaexpert.com and we’ll be happy to send you the additional details. Remember, we do not give legal advice so if your question requires legal advice we will let you know so you can speak to an immigration lawyer.